Feel like a spring break? Somewhere you can enjoy brisk easy walks through lovely countryside. And after, relax over tea and cakes in a cosy café. 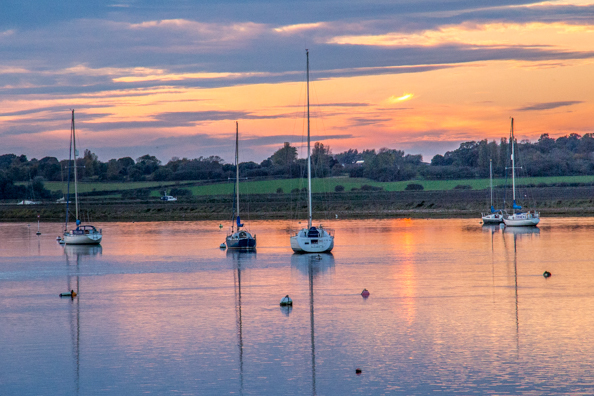 Woodbridge offers gentle strolls along its river banks. Aldeburgh has a more bracing alternative along its vast shingle beach. Both towns are in the county of Suffolk, a county that prides itself on its home-produce and warm hospitality. Woodbridge stretches along the tidal estuary of the River Deben. Even when the tide is out exposing an expanse of mud flats it is a very attractive setting with boats at rest and birds busy foraging for food. This river was the source of Woodbridge’s prosperity as a means of transport and power. 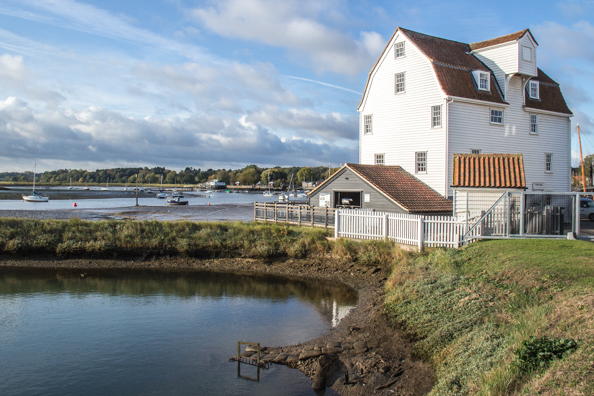 Grain would be brought into the town to be milled at the Tide Mill on the river bank. A mill has been in operation here for over eight hundred years and it is still in working order today. Visitors to this living museum can learn about its history from well-designed information boards. They can listen to tales of the perils of working there and watch a working model showing how the power of the tide was harnessed to turn the massive wheels that turned the millstone to make flour out of grain. Times that the mill will run are displayed in the museum. During its operation visitors will see the water that has been captured in the mill pond next to the building gushing back into the river when the sluice gates are opened. The present pond is much smaller than the original pond which is now the marina for the yacht club so the power it generates only lasts for about an hour. 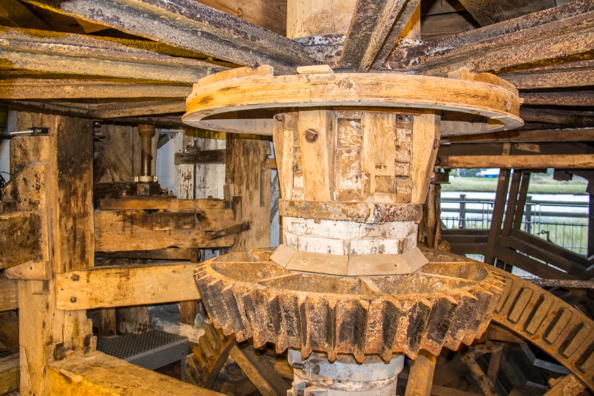 Nevertheless, during this period the mill is able to produce flour that is sold in the mill and also available in the town at the Cake Shop in town. For those who do not want to bake their own pastries they can sample some baked with Tide Mill flour at Honey + Harvey a popular coffee house in the centre of town. Today the river has a different function As I strolled along the River Path I came to the Model Boating Pond in a serene woodland setting next to the Tea Hut. 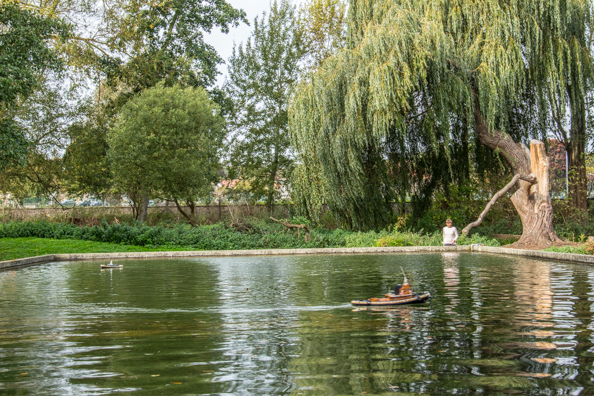 This pond is where the local Model Boating Club is based and offers a fascinating diversion for young and old alike. The Tea Hut is also a popular haunt for visitors and locals. Model Boating Pond in Woodbridge, SuffolkThroughout the town there is evidence of the importance of grain in the past. The Old Shire Hall and Corn Exchange presides over the old town centre, Market Hill. This listed building incorporated the old Corn Exchange. The arches through which sellers would drive their carts into the one-storey corn exchange are still visible. Thomas Seckford a successful London lawyer and the town’s most generous benefactor built the Old Shire Hall around 1575. Today it houses the town council. There is still evidence of his influence around the town as his bequests still have a significant impact today and are managed by the Thomas Seckford Foundation a five-hundred-year-old charity. Visitors can learn more about Seckford in the Woodbridge Town Museum. 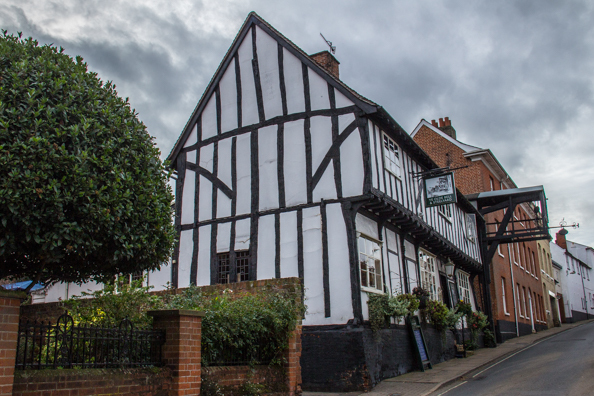 Ye Olde Bell and Steelyard Pub a black and white timber frame building has an unusual addition to its exterior. The Steelyard that looks like a suspended cage is a weighing machine that was the forerunner to the public weighbridge. It was introduced after the government passed a law introducing a toll for carts carrying loads over 2.5 tons to protect road surfaces from damage from their steel banded wheels. Local records indicate that this steelyard was added to the original pub around 1680. It would take a while to weigh the loads, mostly grain and hides, so the pub was conveniently placed for a rest and a drink. Today the rumble of carts through the town has ceased. 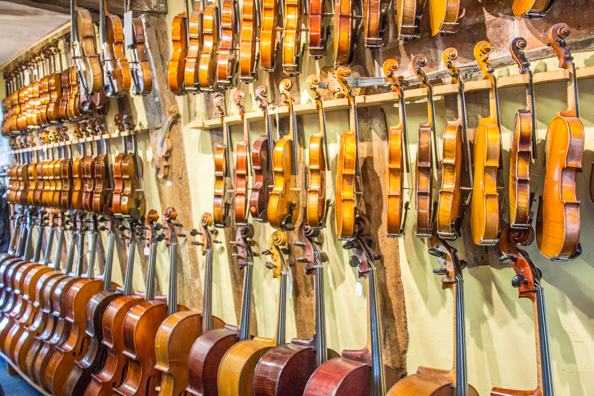 Its streets are lined with independent shops offering a wide variety of goods from handmade violins to old-fashioned sweets. The pedestrianised Thoroughfare offers a traditional shopping experience. Tea and homemade cakes are a welcome treat in one of the many little cafés such as the homely Wild Strawberry Café. 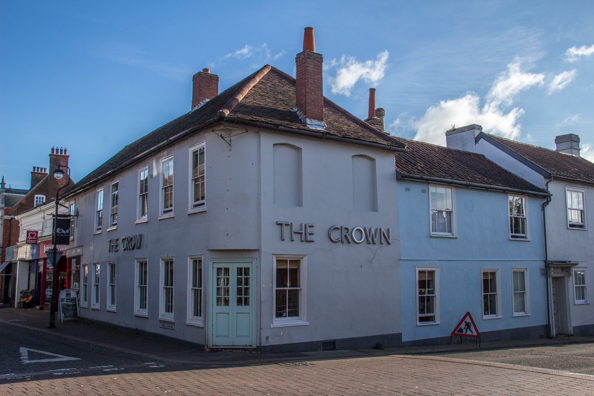 The Crown a sixteenth century coaching house, is part of the history of Woodbridge, and situated right in the town centre. Tastefully modernised it serves two purposes, a popular meeting place for locals and an elegant hotel. It’s restaurant is recommended in the Michelin Guide as the head chef, Darran Hazelton, produces delectable dishes using local produce from land and sea. Aldeburgh offers a completely different aspect of life in Suffolk, its coast. During the day the fishing boats sprawl on the pebbles while the little fresh fish outlets sell the catches of the day. A steady stream of visitors passes to and fro on the long promenade that stretches from the Martello Tower just beyond the town at one end to the village of Thorpeness at the other. 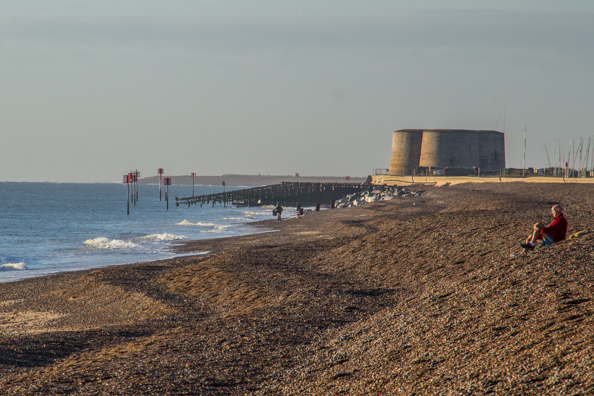 The Martello Tower once part of the coastal defences is now owned by the Landmark Trust and is available as a holiday let. The tower is ideally positioned to watch the sun setting over the River Alde that runs parallel to the sea – a popular spectacle for both visitors and locals. 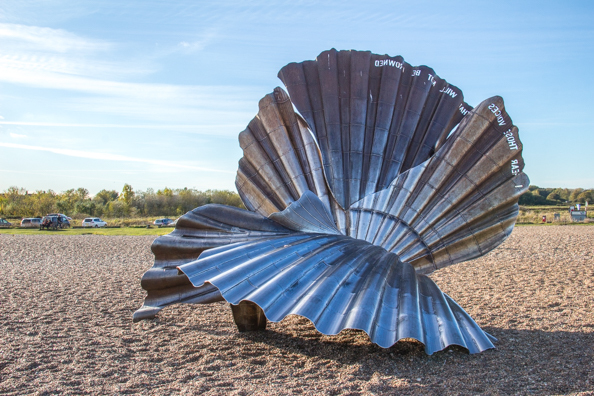 On the outskirts of Aldeburgh visitors cannot fail to notice the Scallop, a huge metal sculpture by local sculptor Maggi Hambling. It was intended as a dedication to Benjamin Britten placed on the wild, windswept beach that inspired the famous composer. Despite a controversial reaction it is still there – a tourist attraction and playground for children. Also within walking distance of the town is the Red House once home to Aldeburgh’s most famous resident, Benjamin Britten. 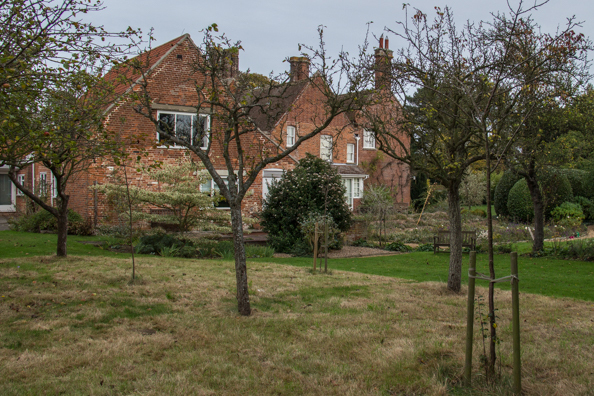 The house has been left as it was when Britten and his partner Peter Pears lived there. Tours of the house have to be booked in advance but the rest of the complex including a small museum and the studio where Britten composed his music are open to all visitors. In the centre of the town is the beautiful Moot Hall one of the most important timber-framed public buildings in England. When it was built in the first half of the sixteenth century it had six small shops on the ground floor and a meeting room above them. It now houses the Aldeburgh Museum and the meeting room is still used by the Town Council today. 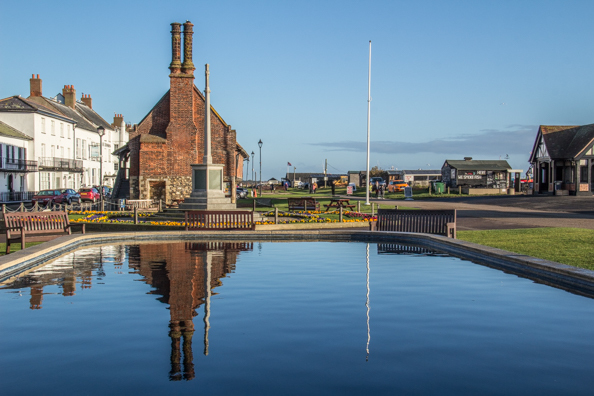 In front of the Moot Hall is the popular model boating pond. 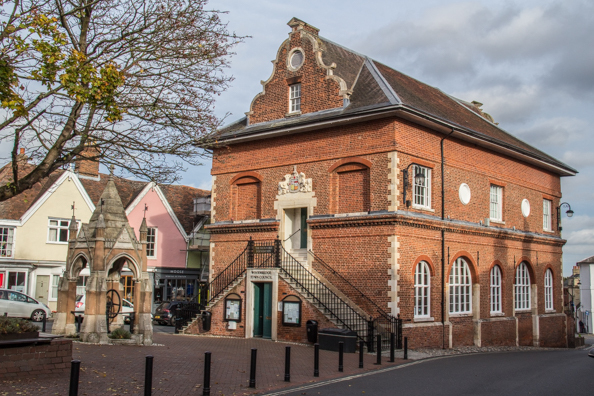 Another attractive building is the Aldeburgh Cinema which dates back to the early twentieth century. 1965 Britten and Pears rescued it from closure and it is still showing films today in its cosy auditorium. The High Street is lined with independent enterprises which seems to be a theme in the county of Suffolk and offer some interesting retail therapy. 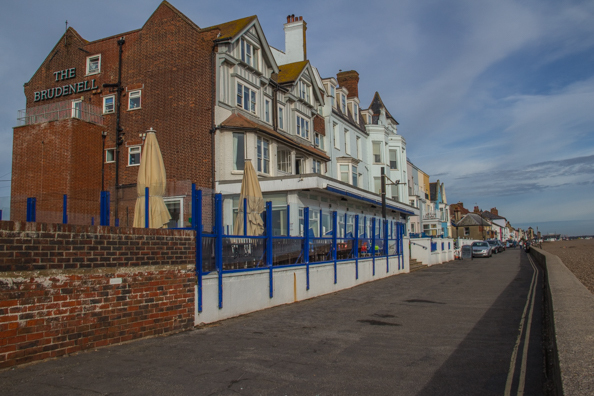 The Brudenell Hotel is ideally placed overlooking the pebble beach and close to the town centre. It has a double aspect, sea and River Alde. Elegant, comfortable bedrooms and snug public lounges combined with friendly attentive staff ensure an enjoyable stay. The Sea Spice Restaurant at its sister hotel, the White Lion Hotel on the sea front, serves excellent Indian dishes using local produce.